Begum Hazrat Mahal, also known as the Begum of Awadh (Oudh) and was the wife of the then Lucknow ruler, Nawab Wajid Ali Shah. She was a great Indian freedom-fighter who played a major role during India’s First War of independence (1857-58). 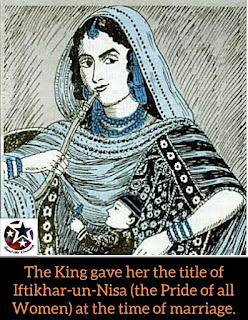 She was bestowed the title ‘Hazrat Mahal’ after the birth of their son, Birjis Qadr. Behind Begum Hazrat Mahal’s graceful nature and physical charm lay the qualities of a strong leader and an adroit strategist, which were strongly witnessed through her contributions to India’s first struggle for independence against the British. California Today: How Would a Mayor Caruso Govern Los Angeles?